INDIA'S FIRST “INTERFACE-PLATFORM" FOR CORPORATES & CONSULTANTS. 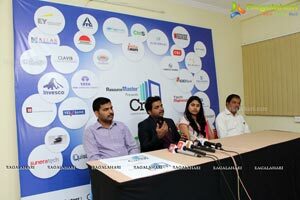 •	THE ADVANTAGES OF CREW-2015, THE OPPORTUNITIES FOR CONULATANTS & CORPORATES DISCUSSED DURING THE CURTAIN RAISER OF CREW-2015. 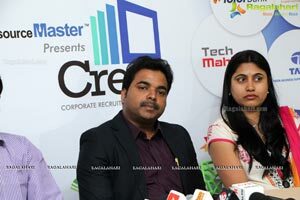 Organizations across India with a constant demand for manpower depend on consultants who leverage multiple recruitment techniques but cannot achieve the desired results. If there's a first step being taken in solving this problem then it's got to be CREW. 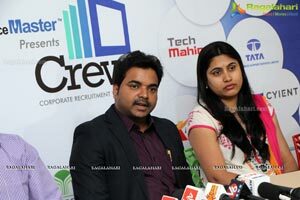 CREW is a first-of-its-kind interface between Corporate Recruiters and Consultants. It's an interactive platform aiming to bring them on the same page through cross-learning and knowledge-sharing. In fact, for the first time there's going to be a closed-door interaction between the two stakeholders, and more. 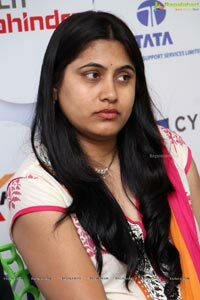 Speaking on the Occasion Mr. Shiva Naidu-Director Resource Master-The Company behind CREW-2015 Initiative said "There is no dearth in the talent pool in our country, the problem area is mostly constituted towards the proper communication & relation between the corporates & Consultants- The consultants fairly get to know the requirements and corporates with their hectic line-ups and work are unable to communicate accordingly, there are many more factors effecting which are creating hindrance for proper talent acquisition for corporates and creating problems for consultants-To bridge this gap we at Resource Master has initiated a Platform called CREW-2015, which will bridge Gap between corporates & consultants and will open a new window of opportunity for both, CREW-2015 will be held on 5th February, 2015 at Hotel Westin, Raheja Mindspace, Hitech City. 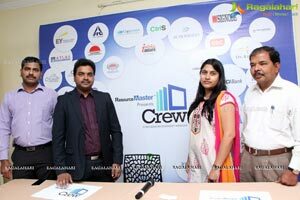 More than 200 consultants have registered to attend CREW-2015 which will have the presence of Top Corporate companies Head H.R's and other H.R Experts. 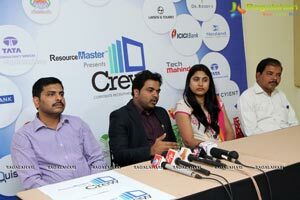 He added that CREW-2015 is a first of its kind initiative in India, and we have received great response from both Corporates & Consultants, Crew-2015 will be held across many cities of India and the very next destination of CREW would be Bangalore-The IT City of India were CREW will be held on 6th March, 2015. 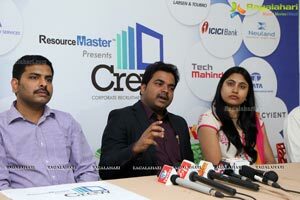 Speaking on the occasion of press meet, Mr. R. K Dinavahi-V.P Corporate Relations- CPG-Computer Power Goods-One of the corporate software firms said "I thank Resource Master to take up such a beneficial initiative which is bound to bridge a gap between the corporates & consultants, CREW is a one of its kind platform where the queries, questions & doubts of consultants can be wane out CREW is a great window of opportunity for both and will help in pooling the right talent for the right job. 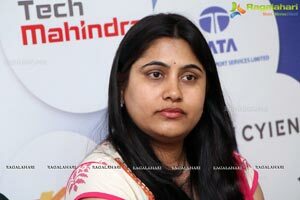 Apama Reddy Deputy General Manager HR at TMI GROUP spoke on the benefits of CREW to the corporates, she added that the recent problems of companies related to Human Resource can be solved by the opportunities like CREW. 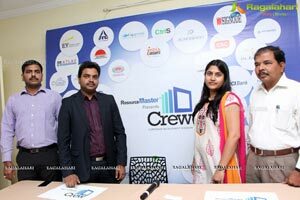 Consultants can play a very strategic role in companies H.R Policies if the opportunities like CREW is conducted often. The role of H.R is more strategic in today's world and proper communication from consultants can lead to better employee-company relations. Resource Master is a professional job network that brings together employers, employees and academia on a global platform. It offers users several benefits and forms a bridge that covers the gaps between industry, academia and talent. Here's what Resource Master can do for you. 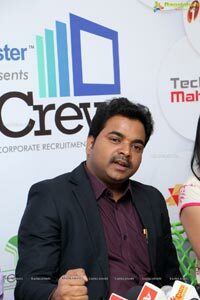 Mr. Shiva Naidu-Head of Resource Master is a Founder of I BIZ Cybertech Pvt Ltd who holds expertise into VOIP Solutions and data centre solutions. 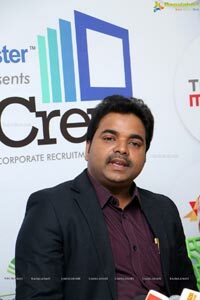 Mr Shiva Naidu is an entrepreneur who has got a passion towards great achievement, with technical knowledge for more than 10+ years, in which he dealt with leaders from service Industry like IT, Banking, Telecom., etc. 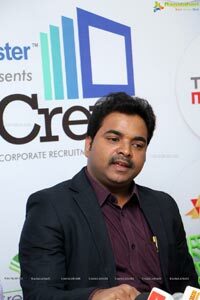 Shiva with his rich knowledge, relationships from the above domains and insights from leaders, got into the product industry and started a unique product named Resource Master which deals with global market.